As we get older, life comes with more and tougher choices. We are faced with certain tasks we do not look forward to but part of being an adult is dealing with the inevitable. Once all the children have moved on many are faced with the decision of downsizing not only your home but downsizing your life but often at this time, we are faced with having to care for our own parents. As we age so do our parents. The ones we turned to for support now need ours. It is very hard to deal with aging parents as it makes us face our own mortality. For those who did not have supportive parents, it can be even harder. There is a great deal of baggage that comes with the parent-child relationship and as we are faced with caring for aging parents, we often have to unpack that baggage. Some are faced with caring for parents who never actually cared for them. 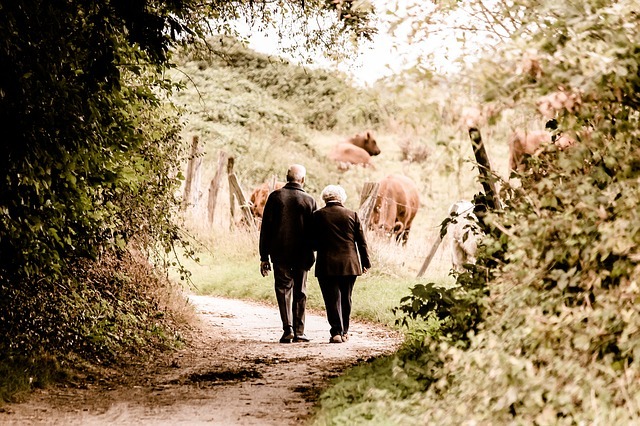 There are lots of resources and help out there for caregivers of aging parents. AARP has an entire section of their website dedicated to caregiving for your aging parents. Many locations have support groups and there is a wealth of knowledge online. There is no lack of knowledge on the internet but often there is a lack of knowledge about our parents themselves. The hard questions we need to ask our parents before they become incapacitated are often avoided because no one wants to talk about death but we must. Last fall I was faced with this when my relatively healthy mother in her 60’s had a massive stroke that she never recovered from. Now is the time to answer these 3 questions, not after the fact. Take a really good look at your parents. How are they really? Do you know there medical conditions or the severity of those conditions? Do you know their financial situation? Often a parent will not disclose information to a child because they don’t want to worry them but it is necessary for you to know this information so that when the time comes you can make an informed decision on the care of your parents. Am I capable of taking care of them? Do you have the knowledge and the means to care for your parents’ needs? Do you have space in your home if you need to move them in? Do you want to care for them? Do you know how to care for a person with dementia or Alzheimer’s or any number of debilitating diseases your parent may have? If they need lifting, bathing, diapering, are you prepared and physically able to do this? 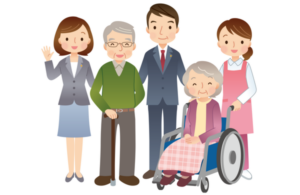 Do you need to hire help or put them in a care home? Find qualified medical professionals and caregivers through certified palliative care, set up meetings at local care facilities, and meet with others who are caring for aging parents to find out what it really takes before you decide if you are capable. Talk to your parents. What do they want? Do they want to sell their home and move into an elderly/retirement community? Do they want to live with you or be placed in a care home if needed? You have to find the answers to the tough questions like palliative care, end of life decisions, how they want to be cared for now not in the midst of a crisis. Who is their medical power of attorney? Do they have a DNR order? Do they have a plan in place if one of them is ill and the other can’t care for them? Do they have a will? Do they have a POD (pay on death) person on their bank accounts? Do they have a burial plan or life insurance to cover the cost? I know these are tough issues but you really don’t want to end up like me and have to find out all this in the midst of a crisis. My mother died alone in a different state with everything completely up in the air and it took months just to get here remains. You need to have a plan in place even if your parents seem fine. My mother was hiking in the woods of Oregon, the next week she was in Tennessee and had a massive stroke. I was in the process of finding her a care home in my state and arranging a transfer when she died with no life insurance, no will, and no POD. It has been 9 months since her death and I am still trying to figure things out. Don’t be me. Make a plan with your parents today. My parents lived on their own up until about a year ago when my father had a stroke that made it so he couldn’t drive. At 93, we were forced to take a good look at their situation and discovered they needed to be in assisted living they were not taking good care of themselves and none of us is in a position to take them. Its a good place but my father hates it because he’s been independent all his life.